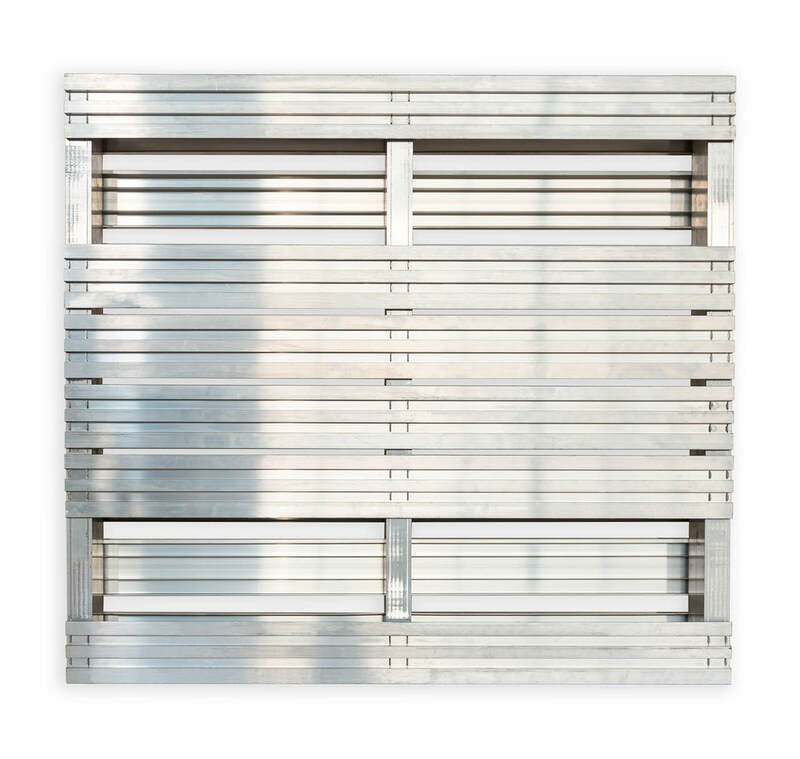 The KD aluminum pallet is sized to your particular needs. This light weight yet strong and durable pallet has been in use for over 25 years in the nuclear, pharmaceutical and chemical industries. 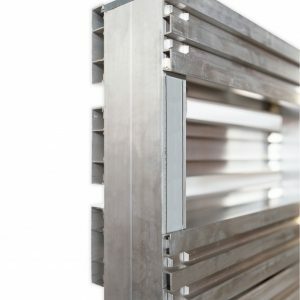 The KD aluminium pallet is used for storage and in-house movement of products in clean or hazardous environments. A typical 40″ x 48″ (1000 mm x 1200 mm) pallet weighs 38 lbs (17 kg) holds a static load of over 12,000 lbs (5400 kg) and a dynamic uniformly distributed load of over 3,000 lbs (1300 kg). The KD aluminum pallet is clean, has a slip resistant top deck, is impervious to heat and cold, does not absorb smells, is fireproof and is rackable. to meet your identification needs. 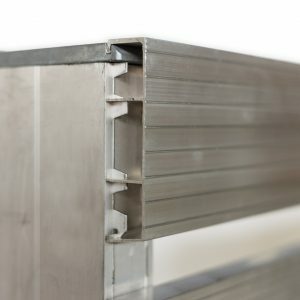 Detail of the patented fastening system of the KD aluminum pallet. 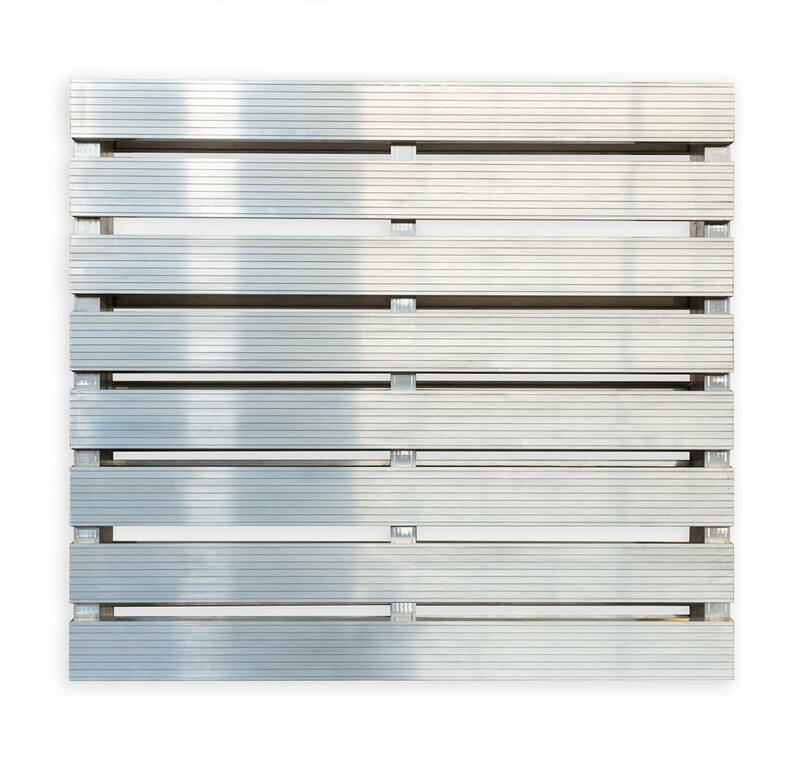 The KD aluminum pallet is available is different types from single top to four-way entry. 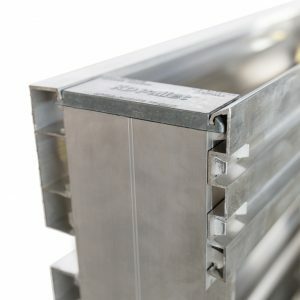 Anti-skid detail for top planks on the KD aluminum pallet.